Brisbane is Australia's third largest city, and Brisbane Square is located in the city's business centre. Connected to Queen Street Mall, the Square is within walking distance of the charming South Bank Parklands. 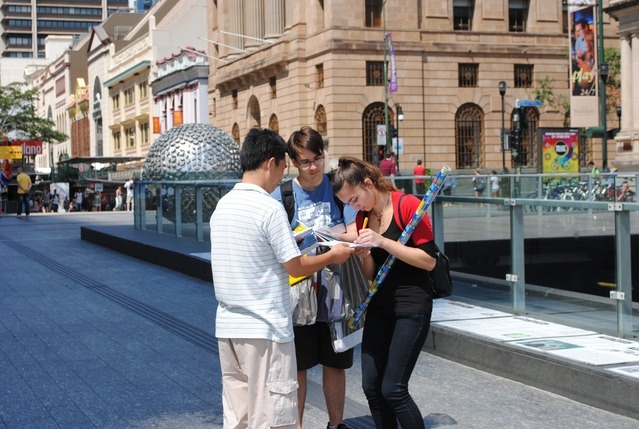 On November 10th, 2013, Falun Dafa practitioners were on Brisbane Square freely expressing themselves. This scene is in sharp contrast to Tiananmen Square in China, where many people are illegally arrested and beaten when they express their opinions and views. Some of them have even lost their lives. A couple from Guizhou, China, were in Brisbane attending a food expo. A practitioner helped them translate into English when they tried to buy lunch. 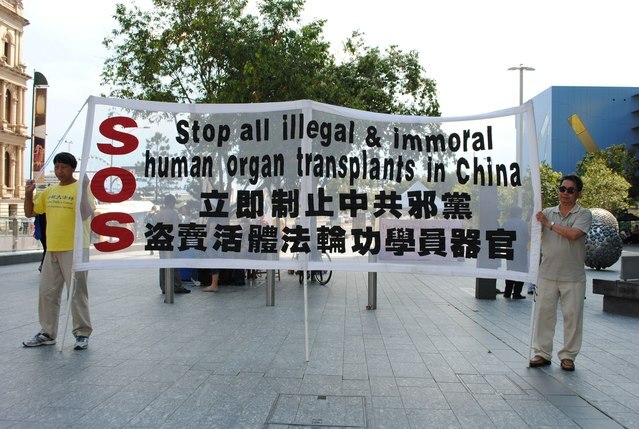 The practitioner clarified the facts of the persecution to them and helped them quit the Chinese Communist Party. Both of them were grateful and thanked the practitioner.